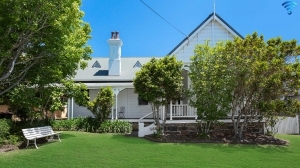 Suburb in South Coast - Kiama NSW? 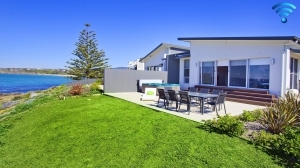 Blissful 4-bedroom holiday home in Kiama Downs NSW. Although your pets can't come into the home, they can still enjoy the holiday with you. Air conditioning will keep you cool or enjoy the game on the TV. 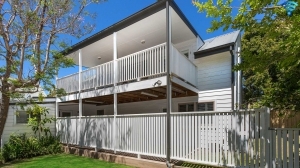 Look no further, 4-bedroom holiday home in Kiama NSW. Although your pets can't come into the home, they can still enjoy the holiday with you. You will be able to enjoy the beach while your dog will enjoy the fully fenced yard. 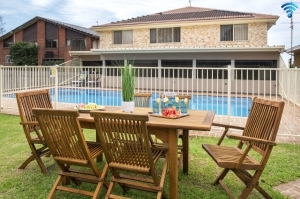 Holiday Sanctuary: 4-bedroom holiday home in Kiama NSW. Keep warm in the winter months - this property has a fireplace! If it happens to get a bit cool during your holiday, not a problem, just get the fire going. This property has a fireplace or slow combustion heater. 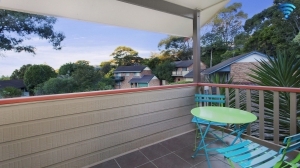 You and your pet will love the location only 500 metres to the beaches, 750 metres to the Kiama - Gerringong coastal walk or pop into town for treats. Easy access to all the wonderful features of Kiama and better still you get to share it with your pet. Secured area for your pet so it doesn't wander. 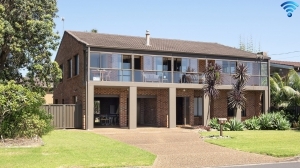 Awesome: 4-bedroom holiday villa in Kiama Downs NSW. Enjoy your holiday even more - bring your pet with you! Air conditioning will keep you cool. This property can accommodate up to 8 people with 4 rooms and 4 beds at your disposal. 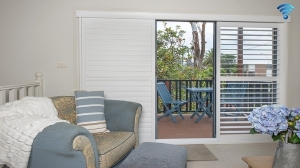 Holiday Retreat: 3-bedroom holiday apartment / townhouse / unit in Kiama NSW. Free wifi at this property! With the beach nearby, a bake on the sand or a tumble in the surf is on the cards. Air conditioning will keep you cool. 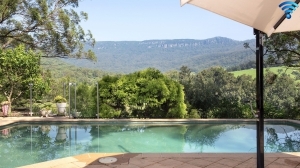 Your retreat for rest and relaxation: 4-bedroom holiday acreage in Jamberoo NSW. 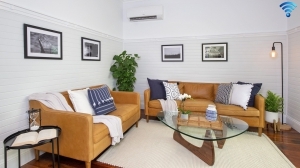 Air conditioning will keep you cool or enjoy the game on the TV. This property can accommodate up to 7 people with 4 rooms and 4 beds at your disposal. 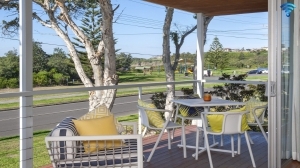 Idyllic Hideaway: 2-bedroom holiday home in Kiama NSW. Although your pets can't come into the home, they can still enjoy the holiday with you. Air conditioning will keep you cool or enjoy the game on the TV. 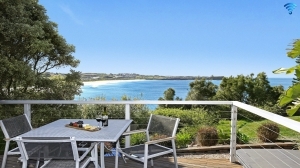 Idyllic Retreat: 3-bedroom holiday home in Kiama NSW. Free wifi at this property! Air conditioning will keep you cool. This property can accommodate up to 6 people with 3 rooms and 4 beds at your disposal. 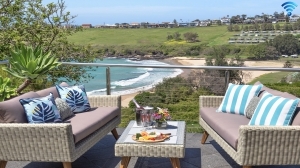 Relaxation awaits: 3-bedroom holiday home in Kiama NSW. Free wifi at this property! With the beach nearby, a bake on the sand or a tumble in the surf is on the cards. This property can accommodate up to 6 people with 3 rooms and 3 beds at your disposal. 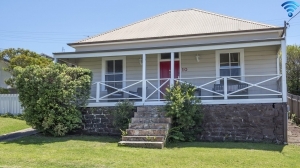 Time for some R & R, 3-bedroom holiday home in Kiama NSW. Your pet is welcome inside this property! You will be able to enjoy the beach while your dog will enjoy the fully fenced yard. This property can accommodate up to 6 people with 3 rooms and 4 beds at your disposal. Enchanting Retreat: 2-bedroom holiday home in Kiama NSW. Although your pets can't come into the home, they can still enjoy the holiday with you. If it happens to get a bit cool during your holiday, not a problem, just get the fire going.